Kingdom Hearts 3 has been a long time coming. Now that it’s here, fans can start pouring over the new kingdoms, improvements to combat and more. 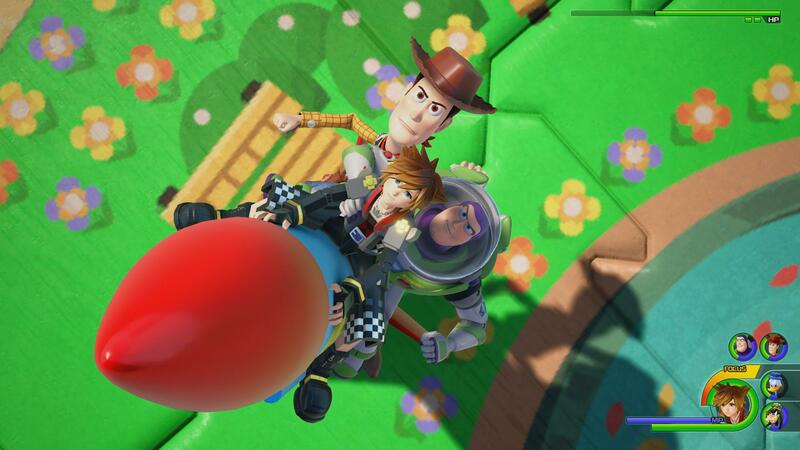 Kingdom Hearts 3 packs a lot in, and it will take you best part of 60 hours to complete everything. 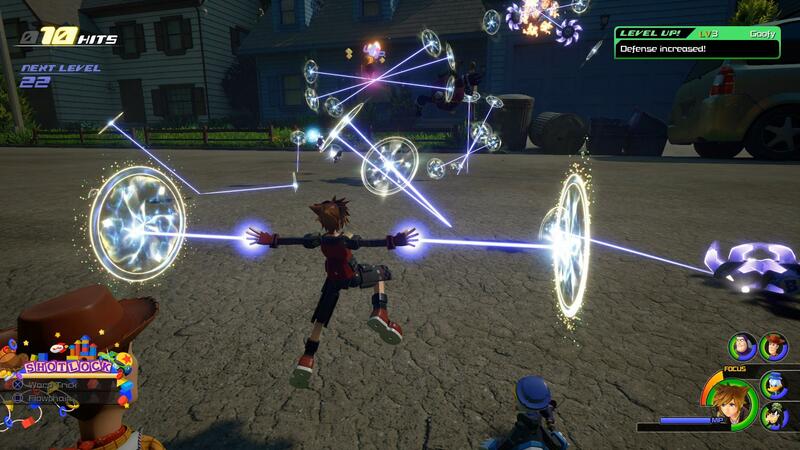 To help you get through it, we’ve put together this Kingdom Hearts 3 Guides Hub. It’s where we’ll be collecting all of our Kingdom Hearts 3 Guides content, from Keyblade info, combat, and special moves, to a look at cooking and Lucky Emblems. We’ll be adding in more guides as we spend more time with the game, so be sure to check back in for future updates. Elsewhere on the site, you can check out our Kingdom Hearts 3 review, as well as a very special episode of Axe of the Blood God in which Kat, Caty and Nadia examine the legacy of Kingdom Hearts and how it marks a turning point for both Square Enix and Disney. Finally, if you’re looking to study up on Kingdom Hearts’ lore before playing the new game, check out Caty’s Kingdom Hearts 3 Primer. We’re still working our way through Kingdom Hearts 3 but will continue to add in links to our new KH guides below. So far, you can check out walkthroughs for the first few worlds, as well as some quick info on how to save. 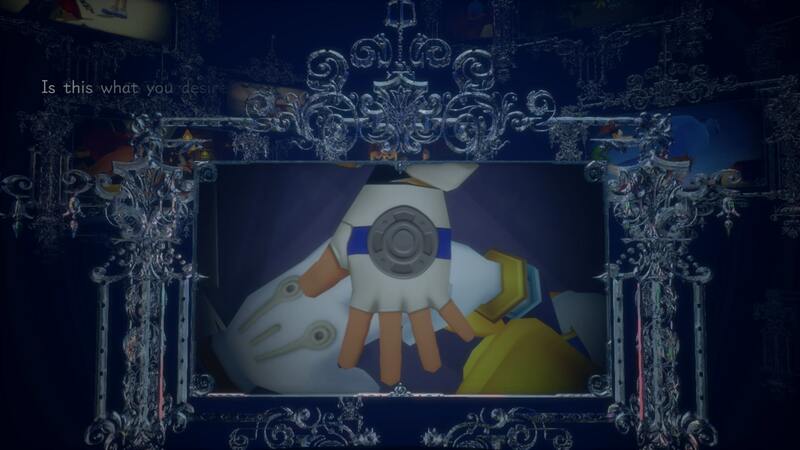 Kingdom Hearts 3 Damascus - Location, What is it Used For? Take advantage of shortcuts to use magic and items more easily while in battle. Just head into the menu and assign your magic and items to specific shortcuts. These can be accessed in battle with L1/LB, and will really save you some time. Use your AP points. As Sora and other party members level up, they’ll acquire more AP. These can be used to toggle on certain skills and abilities. These will help you immensely in battle, so make sure you are using all of your AP for every character in your party. Listen out for clues from party members. Donald and Goofy will frequently call out hints for when ingredients and Lucky Emblems are nearby. They’ll also tell you if you’re going the wrong way, useful in some of the more Labyrinthian levels such as Frozen world. Spend your Munny. You’ll collect way more Munny than you’ll ever need, so make sure you spend it. A good place to funnel your cash is in the Gummi Ship store. Buying and upgrading ships will make the space sections a whole lot easier. Press L2/LT to cycle through available special moves. While fighting large groups of enemies, you’ll often build up several special moves at once. You can press L2/LT to switch which one you want to trigger, meaning you can use the right ones for the right situations. Use the shop to upgrade your Keyblade. It’s a good way to deal more damage as you progress through the game. Talk to your party members using triangle/Y and you’ll get much more from the story. If you’re looking to speed up the combat, you can head into the options menu to alter the way animations play out. It’s no doubt cool to see special moves, but given how long some of them last, it can be good to trim them down a bit. Kingdom Hearts 3 is eligible for preloading, and as such you’ll likely want to know how much space you’ll need to set aside. 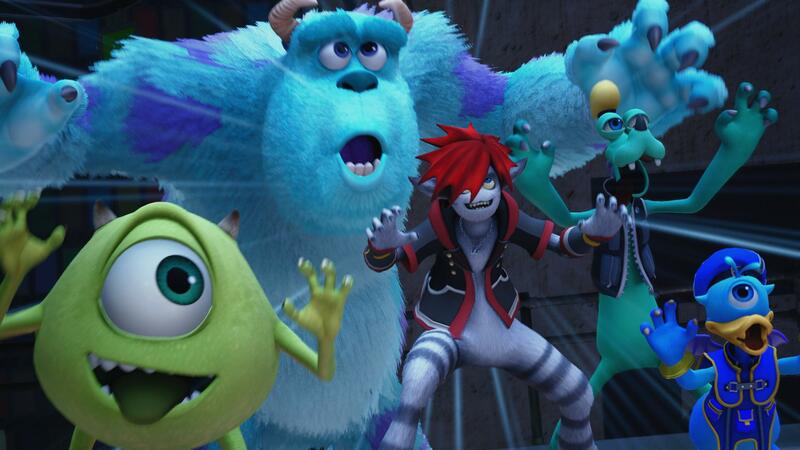 Well, for PlayStation 4 players, Kingdom Hearts 3 requires a minimum of 40GB. Over on the Xbox side of things, you’ll need exactly 39.1GB, so not too bad. Kingdom Hearts 3 Controls - Type A or Type B? Kingdom Hearts 3 Intro Choices - What Do You Desire? 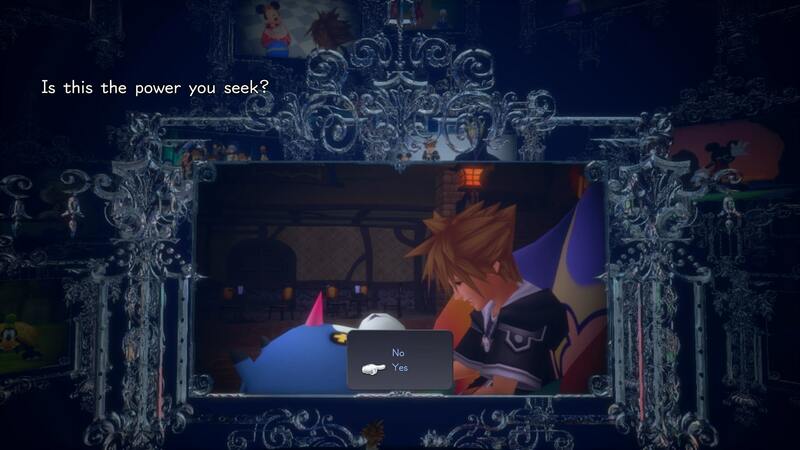 The beginning of Kingdom Hearts 3 presents a recap of sorts, and then offers the player a choice in how to build their character. There isn’t a huge amount of difference between these choices, but they will alter your special moves slightly. Which option you go for is up to you, though we’d suggest Wisdom, given how easy the game is anyway. Over 50 hours or so, we died once, and that was during a space Gummi battle, so more attack power is the way to go, in our opinion. Once you’ve made these two choices, you’ll be asked to confirm them once more. You can’t change your mind later on, so make sure you are indeed sure, and then proceed. A huge epic awaits, with puzzles, bosses, and twists still to come. Be sure to check out the rest of our walkthroughs to make sure you’re getting the most out of Kingdom Hearts 3.